(CNN) Two messages, scrawled in chalk on the same street 11 months apart. Like almost all of Puerto Rico, the beachfront community of Punta Santiago was devastated by Hurricane Maria last September. The town, on the island’s southeastern coast, is near where Maria made landfall on September 20, 2017. 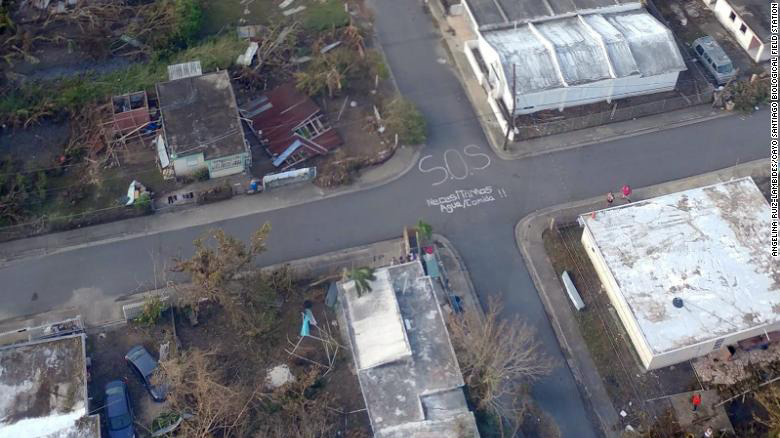 An aid official snapped a photo of the message four days later while doing an aerial assessment of Maria’s devastation. It was widely shared on social media and caught the attention of Puerto Rico Gov. Ricardo Rosselló. With the help of the National Guard, Rosselló helped deliver a shipment of supplies to Punta Santiago a week after Maria hit. But the Category 4 hurricane left most of the island without power for months and caused billions of dollars in damages. And Punta Santiago, whose economy relies largely on tourism, faced a long rebuilding process. Fast forward to Monday — 11 months to the day after Maria struck. 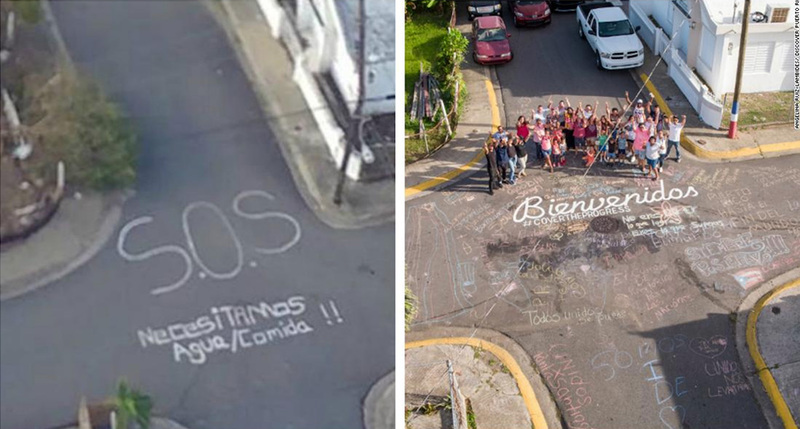 The same spot on the same street in Punta Santiago now displays a different message, one that may inspire travel: “Bienvenidos,” or welcome. Residents gathered to write it on the asphalt, along with other words of hope and a message for the media: #CoverTheProgress. And, mindful now of the power of images, they took a photo. 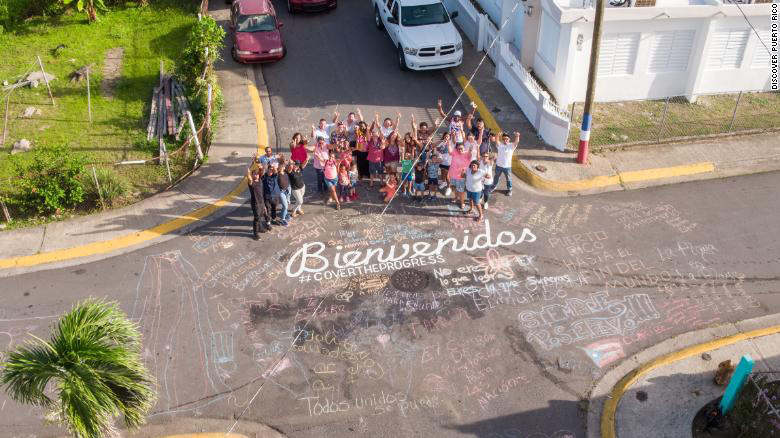 With the help of Discover Puerto Rico, a tourism group, Gonzalez hopes the photo and a related video will bring new attention to what Punta Santiago residents have done to restore their community. Images of devastation and news stories about power outages kept many tourists away from Puerto Rico in the months after Maria hit. But and the government says power to the entire island has finally been restored. The island’s tourism industry has worked very hard to come back strong, said Brad Dean, CEO of Discover Puerto Rico. “There’s a lot to celebrate and we don’t want the one-year anniversary (of Maria) to set us back,” he said. Gonzalez says Punta Santiago is prepared to host tourists again.